Been searching this for a while now. Can anyone help? Preferably 192kbps or higher but any bit rate will do. I just want to hear this bad!! Last edited by IronSaviour on 26 Jan 2011, edited 1 time in total. I can't wait no more.....i just bid on the cd. If i win, i will sell it on ebay after i rip it. I won the cd on ebay. I'm just waiting for it to arrive! thanks a lot , George ! I had no idea that 5 out of these 6 tracks are on the "Perpetual Destiny" 1994 album. Maybe these songs was re-recorded (with different sound) for "Perpetual Destiny" album ? 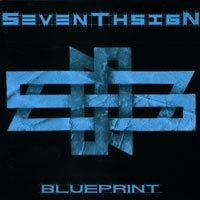 If you need, we may post 1994 album here to compare with "Blueprint" album.